Click Clack Jack launches official website! Click Clack Jack took home two prestigious awards at the 2008 WYSIWYG Film Festival in San Francisco. Winning for Best Production Value and Film of the Year! 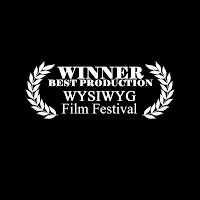 Click Clack Jack will be screened at the WYSIWYG Film Festival on Friday, November 7 between 7-10pm. Thanks to Mike Muscat, our museum guide, we were able to secure a perfect time slot. Thanks Mike for being available! 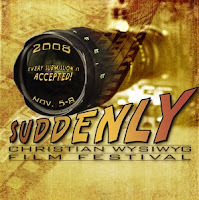 For more information about the festival visit: http://www.wysiwygfilmworks.com/. The official website for Click Clack Jack is now up and running! 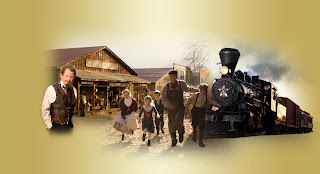 Please visit us at http://www.clickclackjack.com/! We want to say a huge thank you to Troy Newport and the creative team at Webtivity Designs for hearing our vision and taking us right where we wanted to go! Troy showed great patience, professionalism and wonderful insight that we so appreciate. You can see many of their wonderful sites at http://www.webtivitydesigns.com/. Click Clack Jack, A Rail Legend made its festival debuit at the Florida Media Market Festival in late October. 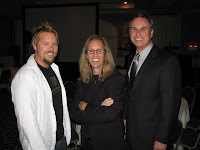 Keith and Ryan and Britton were on hand to meet, greet and soak in the Festival's many panel discussions and most importantly to pitch the film to industry execs. It was a huge victory for our independent faith based film as it was not only an "Official" selection but also as a finalist in the category of TV programming. Click Clack Jack has been submitted to over 40 festivals nationwide. With festivals in CA, CO, WA, NC and the list goes on! Keep coming back as we will be posting the schedule as we receive our letters of acceptance into each festival. Watch for one in your area!